"It is a fairly open secret that almost all systems can be hacked, somehow. It is a less spoken of secret that such hacking has actually gone quite mainstream." 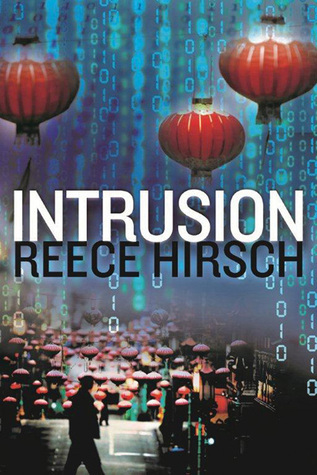 Reece Hirsch, an American author, has penned a fast-paced, action-packed gripping thriller, Intrusion that narrates the story of a lawyer, who is called upon in the middle of the night to handle a search-engine company's delicate situation when some of their major algorithms are got stolen by some petty Chinese hackers, that finally leads the lawyer and his girlfriend on a dangerous and an almost life-threatening track. When a powerful client summons him for a midnight meeting, lawyer Chris Bruen knows something is very wrong. Zapper, the world’s most popular search engine, has been compromised and its most valuable asset—search algorithms—stolen. The company suspects that this most recent instance in a wave of high-tech crimes originated in China, and that the government itself is behind the systematic theft of US intellectual property. Chris travels to China to search for evidence that will link the intrusion to the People’s Liberation Army. With remote assistance from Zoey Doucet, the head of his firm’s computer forensics lab and his maybe-girlfriend, Chris uncovers information that takes him even deeper into the shadowy world of cyber crime. Now he is trapped in a foreign land with a hard drive containing information that puts his life in jeopardy. In this secretive world of Big Data, Chris will risk everything to fight an elusive enemy as far-reaching as the Internet itself. Chris is called upon by the Zapper's employees in the middle of the night when the company's high security algorithms are get stolen by some Chinese hackers. Chris soon decides to chase the hackers all the way to China and to find clues and evidence against the people's liberation Army, who are trying to overtake Zapper, the world's number one search engine. But a messy situations makes him the killer with a most valued hard drive containing the information to overthrow the people's liberation Army. With the help of Zoey, his girlfriend from San Francisco, Chris tries to find a way out of the country into the safe lands of America, but it is not too late that an international Chinese hit man is trying to close upon Chris and his girlfriend's lives. The author's writing style is fantastic and quite edgy laced with tension and adrenaline-rushing actions scenes that are depicted with lots depth and description, that will let the readers look right into those striking scenes from the book. The narrative is highly interesting and that will keep the readers on their edges of their seats till the very last page. The pacing is really fast, as one event after another keeps happening all through out the story. The mystery in the book is tightly wrapped under so many twists and turns that will only make the readers anticipate till the very last page. The story is very addictive and will pull the readers into it's core from the very beginning. The backdrop of Beijing and its countryside landscape are well captured by the author, thus it will take the readers on a joy ride through the green as well as sky high structures in Beijing. The characters are very real and their demeanor while thrown into a crisis is very sensible. The character of Chris is highly likable as he is thoughtful when it comes to challenges and is really very sharp. The rest of the supporting cast are well-developed and will keep the readers glued into the book till the very end. The realism in each and every character is very evident from the way they projected themselves into the story line. Overall, this is a must read thriller which is anticipating and very enthralling and will keep the readers turning the pages of this book till the very end. Verdict: A hacking thriller which is honest and very intriguing. Courtesy: Thanks to the author, Reece Hirsch, for giving me an opportunity to read and review this book. Reece Hirsch is the author of four thrillers that draw upon his background as a privacy attorney. His first book, The Insider, was a finalist for the 2011 International Thriller Writers Award for Best First Novel. His next three books, The Adversary, Intrusion, and Surveillance, all feature former Department of Justice cybercrimes prosecutor Chris Bruen. Hirsch is a partner in the San Francisco office of an international law firm and cochair of its privacy and cybersecurity practice. He is also a member of the board of directors of the Valentino Achak Deng Foundation (www.VADFoundation.org). He lives in the Bay Area with his wife and a small, unruly dog.